“U.S. 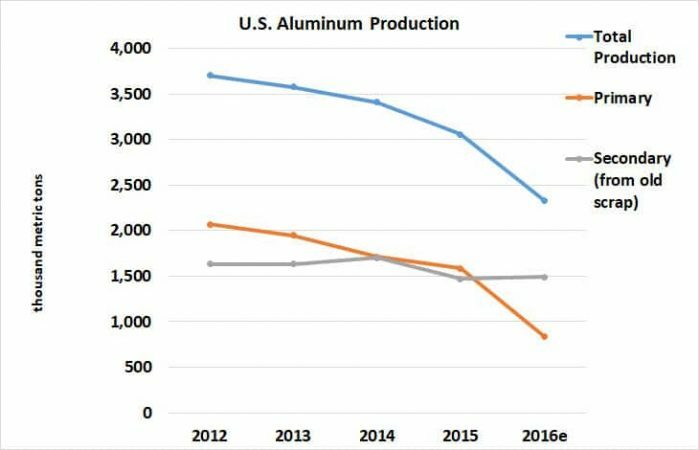 production of primary aluminum declined 47% in 2016 to the lowest level since 1951. During the year, three primary smelters were shut down. High power prices, low aluminum prices, and technical issues were cited for shutdowns,” according to the USGS Mineral Resources Mineral Commodity Summary 2017. Data from the same report show that apparent U.S. consumption of aluminum decreased 7% in 2016 and imports grew from 11% in 2012 to 52% in 2016 with Canada being the largest U.S. supplier. 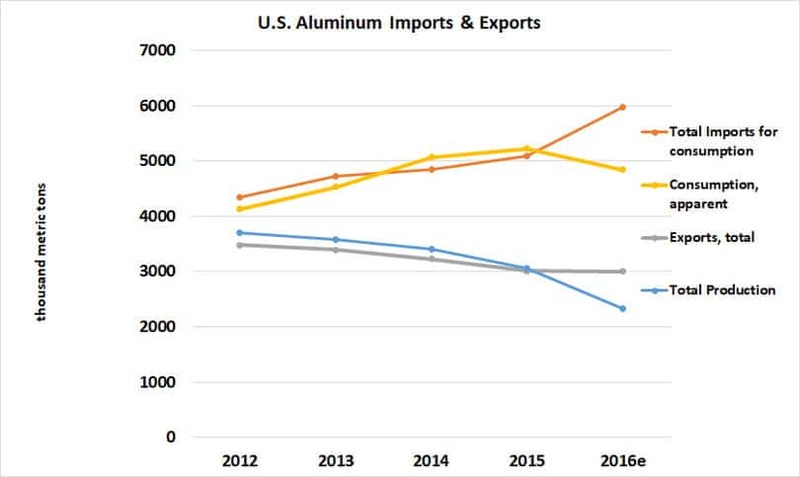 From 2012 – 2016, U.S. aluminum imports and consumption increased while exports and production trended down. The Aluminum Association is a trade association for the aluminum production, fabrication and recycling industries, and their suppliers. The Aluminum Association is the secretariat for ANSI Accredited Standards Committee H35. Aluminum Association standards are available through the ANSI webstore for immediate download, and are widely used and referenced. Consult this list of international aluminum associations for more resources, news and information. Primary Uses of Aluminum in the U.S.
durables, 6%; and other, 3%”, according to the USGS Mineral Resources Mineral Commodity Summary 2017. Aluminum finds wide application in transportation where its light weight and many other properties are advantageous. The Wright brothers powered Flyer 1, with a 13 HP motor with an aluminum crankcase because of its light weight. The Smithsonian describes the design of the engine as having no spark plugs, no fuel pump and no carburetor. 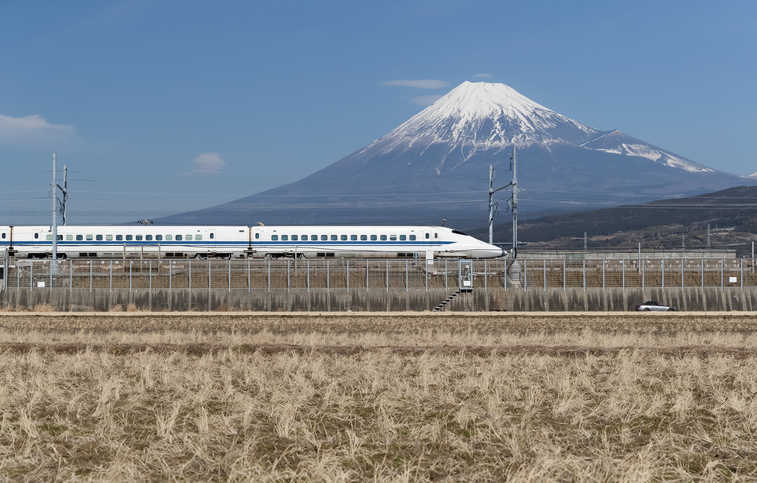 Sputnik was constructed of aluminum, and the Shinkansen bullet train also makes extensive use of aluminum as do many modern rail cars, aircraft, trucks and automobiles. The aluminum-intensive 2018 Lincoln Navigator was named Truck of the Year and the 2018 Honda Accord was named Car of the Year in the North American Car, Utility and Truck of the Year (NACTOY) Awards, announced Monday, Jan. 15 at the 2018 North American International Auto Show (NAIAS). Tokaido Shinkansen with Mt. Fuji behind. What Makes a Precious Metal?